If you were to flip through a Japanese guidebook to the section on Nikkō, you’d be treated to an unparalleled collection of impossibly lavish shrines. Home to gilded gates and shogun mausoleums, Nikko is a city that breathes history. A popular day trip destination for nearby Tokyoites, the noise of tourists recedes into a quiet silence the further away you get from its famous shrines. Wander beyond the aged grandeur, however, and you’ll stumble upon two buildings that stand in stark contrast to the elaborate buildings of generations past. During the Meiji period, Nikkō was well-known as a mountain summer resort. Flanked by impressive bodies of water like the Kegon waterfallll and lake Chuzen-ji, the area became a popular destination among foreign visitors. The British and Italian consulates commissioned summer villas in the area for foreign ambassadors looking escape the Tokyo heat. The villas, erected near the Chuzen-ji lake, would eventually be joined by additional French and Belgian summer residences. Hidden away near the most quiet parts of the lake is the British summer residence and former home of British diplomat Ernest Satow. Satow was one of the first ambassadors to establish good relations with Japan after the island opened to foreign visitors following a period of isolation. Built in the later part of the 19th century, the villa could easily pass for for a modern house: with its dark, polished paneled walls and unassuming rectangular form, it elegantly combines Japanese symmetry with British austerity. A left turn down the road bordering Chuzen-ji lake takes you to the Italian Embassy House, one of our personal favorites. This villa was built by Antonin Raymond, Czech-American architect best known for modernist residences that married Japanese influences with the mid-century American styles of the time. The simplicity of both designs schools was a natural fit for Raymond, who first arrived in Tokyo in 1919 as an assistant to Frank Lloyd Wright. After assisting Lloyd Wright in the construction of the iconic Imperial Hotel, Raymond took off on his own, combining the Japanese techniques he had learned with the latest American building innovations. Raymond became a consul of Czechoslovakia to Japan from 1926 to 1939, during which time he completed the construction of the Italian Embassy’s villa. 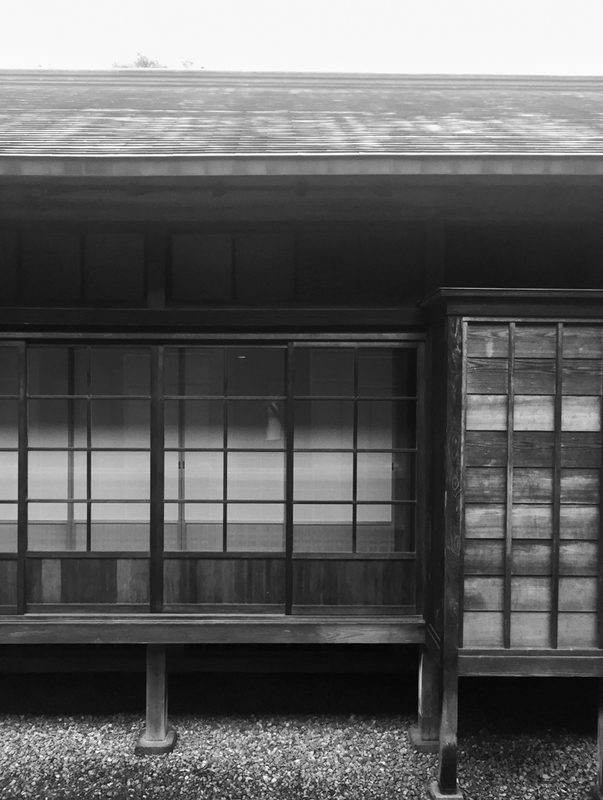 The structure works in harmony with the bordering lake, pairing lake-facing sliding windows with a wide wooden passage to form a Japanese veranda known as an engawa. The villa’s outer walls are made from cedar bark that matches the woodsy surroundings and flanked by Japanese courtyards. Inside, the villa is furnished with Japanese and European objects alike. Along with two additional French and Belgian embassy villas, these amazing structures belong to Nikko’s Villa Memorial Parks. A result of years of diplomacy and collaboration, the memorial structures stand as a reminder of the lasting impact of friendship and open dialogue between two international cultures. Just like each building is renovated and kept in shape with the passage of time, likewise do we keep restoring and refreshing the ties that bind us together through distance.